Who doesn't love Denzel Washington rallying support and success in his team of Titans? Part-social justice, part-football, all inspiring. Washington plays newly-appointed African American coach Herman Boone, and the small town of Alexandria, Virginia isn't happy about it. Tasked with bringing the newly desegregated T.C. Williams High School team to victory, Boone must overcome racial prejudices and create a team brought together regardless of skin color, and he does just that. Also, we all know a young Ryan Gosling never disappoints. Catch Cameron Diaz in her prime as fictional Miami Sharks team owner Christina Pagniacci, who's at odds with Sharks coach Tony D'Amato (Al Pacino) after their team's first and second string quarterbacks are forced to leave the field from injuries, replaced by Jamie Foxx's Willie Beamen. 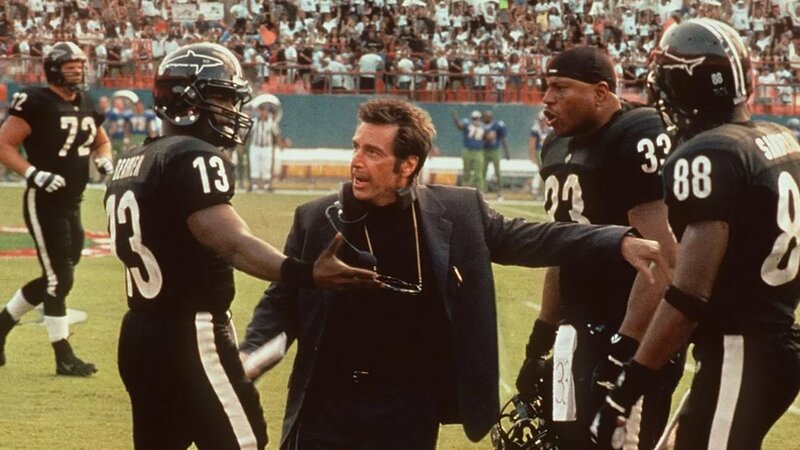 Beamen changes the game to the chagrin of his coach and his teammates, and any given Sunday, a hero can rise. 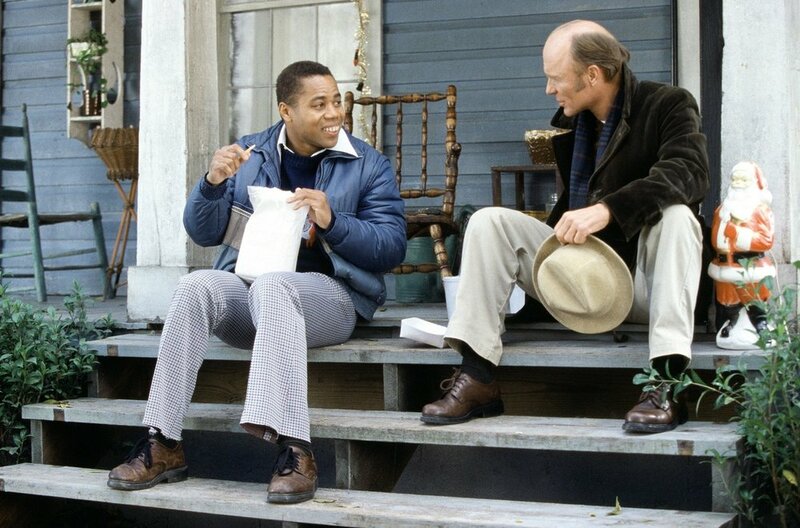 Cuba Gooding Jr. and Ed Harris will melt your heart in this feel-good story of trials and triumphs. Gooding Jr. plays Radio, a man who mentally runs "just like everyone else but slower." The local high school football team is at first resentful of Coach Jones (Harris) allowing Radio to help out with games, until it becomes clear that Radio is the glue holding the whole team together. Perfect for a movie night with grandma, or for anyone with a soul. Football may not be one for tears, but damn... We are Marshall will get you. Based on the true events of Marshall University's fatal airplane crash in November of 1970 — in which 75 members of the Marshall football athletics team, faculty, and staff were killed — Marshall stars Matthew McConaughey as new head coach Jack alongside Matthew Fox (one of the surviving coaching faculty) as Red Dawson. The Marshall Thundering Herd is slowly and painfully rebuilt, and as the team rebuilds, so does the town. Based on the 2006 book The Blind Side: Evolution of a Game by Michael Lewis, The Blind Side is the biographical story of Michael Oher, who would eventually play for the Baltimore Ravens (as their 1st draft pick no less). Impoverished and orphaned in Tennessee, Oher (played by Quinton Aaron) is taken under the wings of Sean and Leigh Anne Tuohy (Sandra Bullock). With some serious TLC, respect, and space, the Tuohy family helps Oher find his potential, his worth, and his heart (oh, and he's an outright football star). When Oher gets a real bed for the first time in his life, you'll be wrapped right around this story's fingers. Yet another great high school football movie, this time with Billy Bob Thornton as Permian Head Coach Gary Gaines in the windswept and broke town of Odessa, Texas. Odessa is obsessive over its local football team, and Friday Night Lights serves as a spotlight to the team's strengths and weaknesses. From player riffs to team failures and town victories, this one is less about winning the big game (though they try for that, too), and more about just being there for the game in general. Friday Night Lights is infectious and spirited, and will want to make you watch/play/love football more than any other. Freddie Steinmark (played by Finn Wittrock) is dreamy, steamy, and all things American. He defies all odds against his small stature, gets the girl, and the scholarship to play football for the Texas Longhorns. When he's diagnosed with cancer, it tests every ounce of will he's fought so hard to make. Wittrock and Aaron Eckhart (who plays his Texas coach) will make you want to fight for your dreams, too. While this may not be a critical favorite, it's a touchdown for date night. Okay, so The Longest Yard may not be winning any awards, but it's a finger-lickin' good time. Prison, football, and Adam Sandler... doesn't seem like a great pairing but you'd be surprised. Sandler plays Paul Crewe, a washed-up football legend who gets himself incarcerated after a drunk driving incident. He's employed by the prison to put together a ragtag football crew of inmates to play against the guards. From Chris Rock to Terry Crews to Burt Reynolds, The Longest Yard has the comedian for you.